Thumbing through stacks of postcards, on the hunt for pictures and stories from a particular town … in a particular time frame, I’ve discovered that it’s inevitable to find duplicates. Imagine the postcard rack in any town you’ve ever visited. There are anywhere from ten to 50 copies of the same card available for purchase. 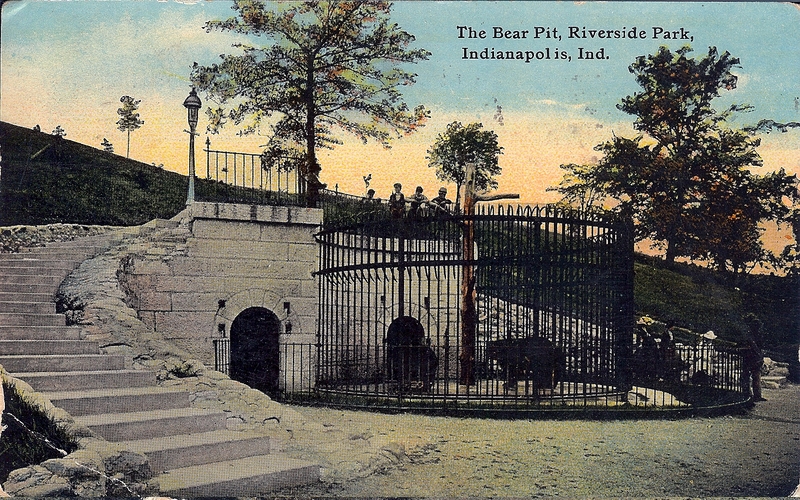 Since beginning the Penny Post feature, I’ve noticed a trend in which Indianapolis images are most popular (the Monument … and the former bear cage at Riverside Park). The more I look through the cards, the more I find something so endearing about the “duplicates.” Researching this week’s post, I ran across a collector’s comment that no two postcards are ever exactly the same – not to the sender or the receiver. As students across Indianapolis clatter back into their classrooms, this week’s Penny Post features three Shortridge High School postcards. The first two images are from an earlier incarnation of Shortridge, the third is what still stands on Meridian Street–all three reveal very different stories where the sender is concerned. Have been so rushed with work and have so much to write, am so tired and dirty to do a thing. The coat is just fine. Mom’s and Flo’s letters came. Will write today. 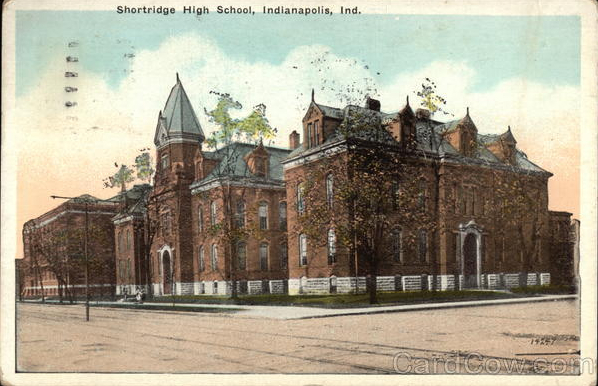 Shortridge High School, successor of the old Indianapolis High School, located at 34th and Meridian Streets. Enrollment 3,500 pupils, work devoted largely to preparation for college. Will be very happy to exchange with you. A penny for your thoughts … What interests me about these three cards is that they represent the variety of ways people use postcards to send messages to friends, family, acquiescence and potential strangers. 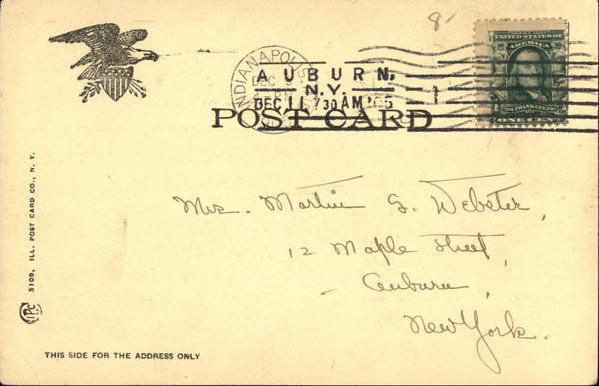 In 1905, during the rise of the Golden Era of the Postcard, many people sent their penny posts to let others know that they would be sending a letter soon. 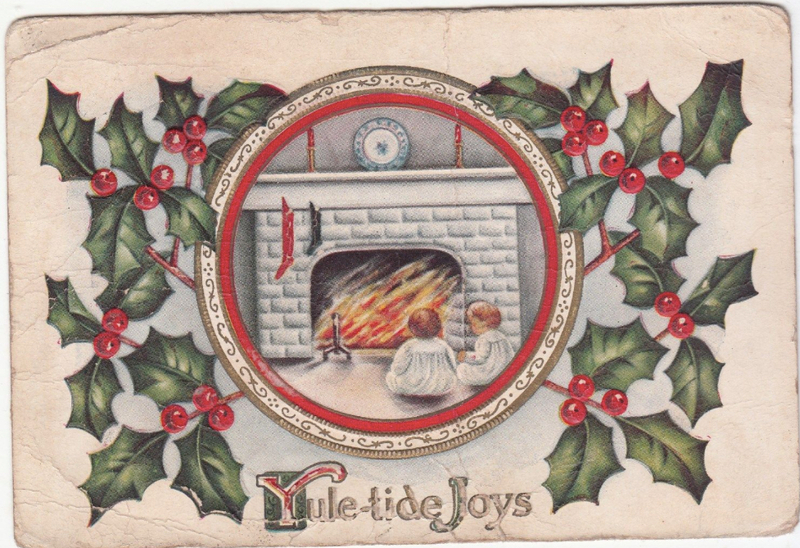 Perhaps the historic equivalent of “I’ll call you in a few.” Others, like Aunt Mary, might have sent a postcard just to let someone know they are thinking of them. Although I do wonder why Aunt Mary picked a Shortridge postcard – was nephew Paul an alumni or was it the most handy card at the moment? 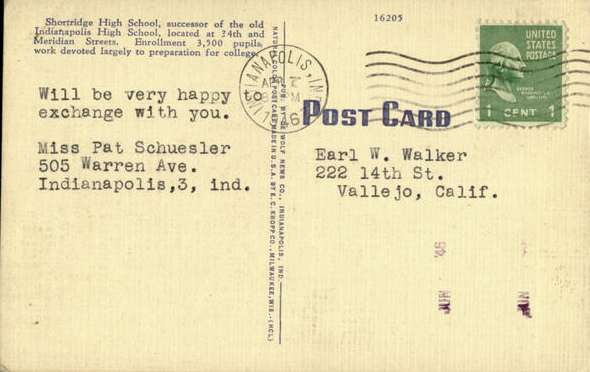 I was most intrigued by the 1946 card sent by Miss Pat Schuesler to Vallejo, California. According to the 1947 city directory, Patty Schuesler worked for the Veterans of Foreign Wars. 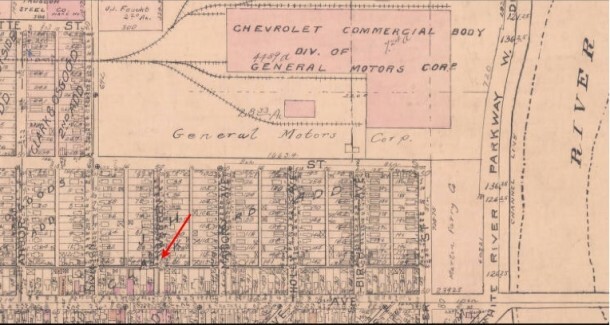 It was also interesting to look at where 505 Warren Ave. is located within the city. 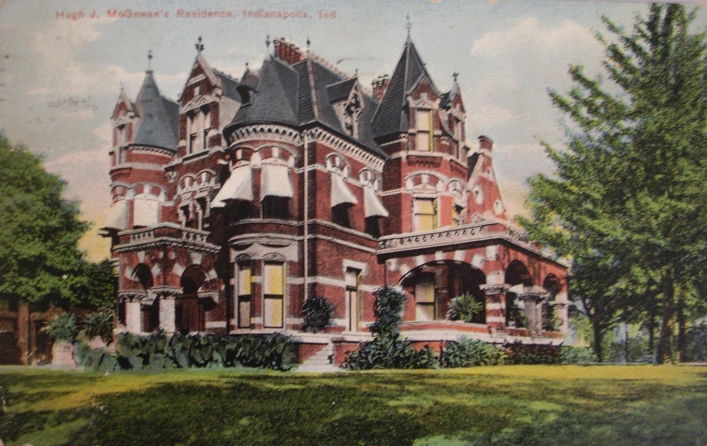 The Schuesler house once sat in the J.H. Clark 2nd Addition neighborhood on the city’s west side, directly south of General Motor’s Chevrolet Commercial Body plant and north of the (closed) Hoffa’s Silver Cafe (down the street from what is now Carniceria Gaunajuato). Today, most of the homes in the Schuesler’s neighborhood are paved over, fenced off parking lots or neglected buildings like the Albert R. Worm building previously featured here and here. The 1947 Indianapolis City Directory lists Patty Schuesler’s occupation as “sten Veterans of Foreign Wars” and her residence as 505 Warren Ave. 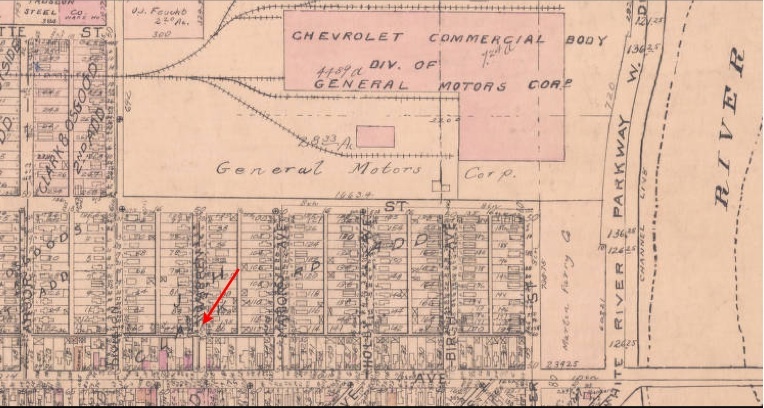 This Indianapolis Baist Atlas Plan #29 from 1929 points to the approximate location of the Schuesler’s house. Many of the homes shown on the map are now gone. 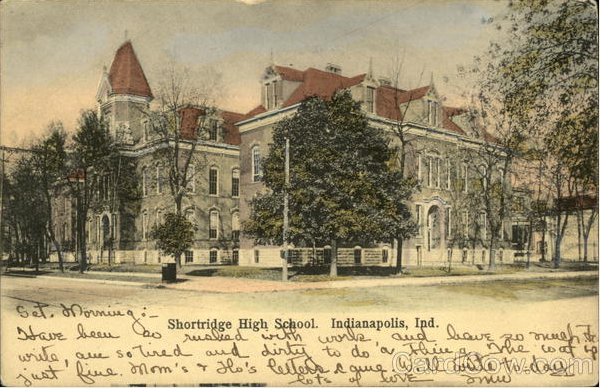 Tell us, do these Shortridge High School postcards inspire any memories from you? 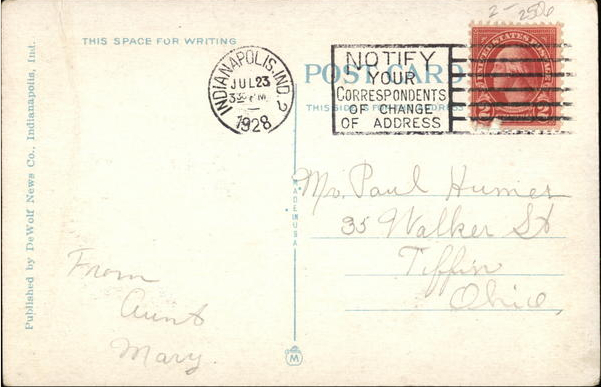 If you have an Indianapolis postcard you think would be an interesting contribution to the Penny Post, please let me know! Ashley Haynes is from Indianapolis and grew up bringing storybook characters to life in her imagination. Now, she peers into the history of old buildings, letters, and postcards, imagining the lives of the people who touched the stair-rail or held the pen. 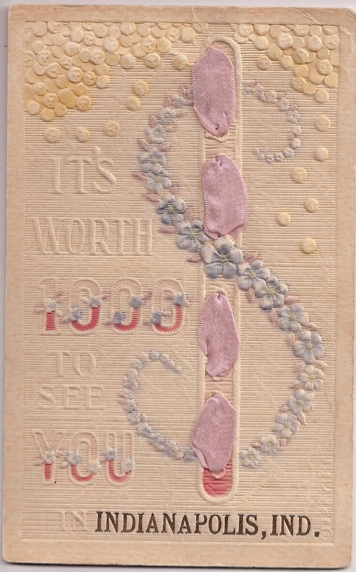 First post card reads: Have been so rushed with work. —- The coat is just fine. Mom and Flo’s letters came. to the best of my ability to read it. It’s been amended, thanks for the eagle eyes! Do I have any memories? Oh, yeah! In the late 1940s (while in high school) I lived at 40th & Capitol, and took a bus every morning down Meridian Street, then transferred to a trolley going to Arsenal Tech so I could get the printing and jewelry making classes I wanted. Every school day I passes Shortridge, where I could see a lot of my former classmates from James Whitcomb Riley School No. 43 (also at 40th & Capitol) trudging to school. My main remembrance is hearing an excellent concert by the Yale Glee Club about 1953. Nice school, good kids, including my girl friend for about a year and a half … but that’s another story. I do recall that Shortridge was one of the few high schools in America with a daily school newspaper. Oddly enough, I was born in a house on the corner of National Road (Washington Street; US 40) and Shortridge Road a LONG time ago. Shortridge High School is/was located at 34th Street and Meridian, not 35th Street. Where was the old Indianapolis High School located? Hey Dr. Jack. I lived way out on the Eastside too and had to travel to Cathedral High School at 14th and Meridian Streets in the mid to late 1960’s. While there Shortridge changed their nickname from Blue Devils to Satans. Shortridge was the premier liberal arts high school in the Indianapolis Public Schools system and strangely enough didn’t have a home football field on campus. They played at Julian Field on the southwest end of Butler’s campus. Tech went from the “Greenclad” to the “Titans” somewhere around 1961, wasn’t it? 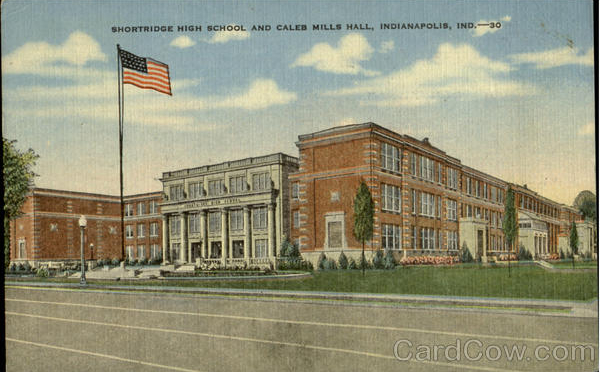 Ashley, I have yet another Shortridge HS postcard. It’s part of my digital postcard collection at Flickr. I wonder how many different versions exist?